For children to experience different texture made by paper and poster paint. 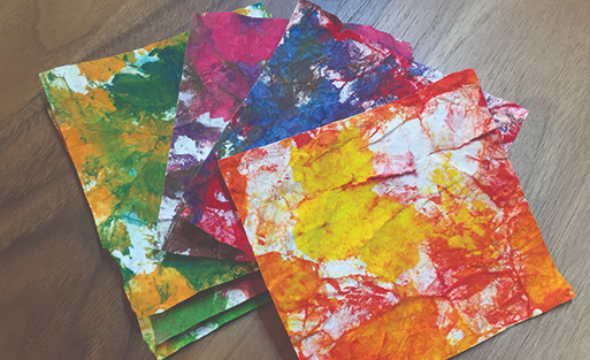 This activity will open children imagination and teach them new technique about abstract art. They can see any possible outcome from art and experiment by themselves.